WESTBURY, N.Y. – October 29, 2013 – VasoMedical, Inc. (“VasoMedical”) (OTC BB: VASO), a diversified medical technology company specializing in the design, manufacture and sale of medical devices for noninvasive cardiology, including EECP® Therapy systems, the gold standard of ECP therapy, announced this week that it has co-sponsored the launch of the International EECP® Society (IEECPS) at the 3rd International EECP® Symposium in Beijing, China as announced last week on the Society's web site. IEECPS is an independent not-for-profit association comprised of leading physicians, researchers and other professionals involved in Enhanced External Counterpulsation (EECP) Therapy from around the world. The goal of the Society is to promote excellence in the noninvasive treatment of cardiovascular diseases through physician education, research, increased patient awareness, representation, and the advancement of quality patient care with EECP® therapy. 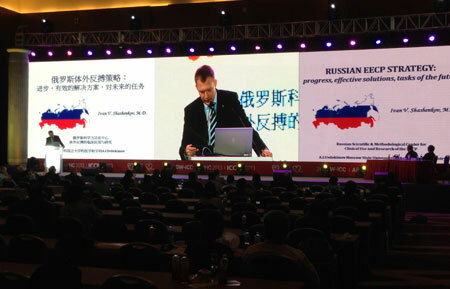 The formation of IEECPS was officially announced during the 3rd International EECP® Symposium held in conjunction with the 24th Great Wall International Congress of Cardiology and Asian Pacific Heart Congress, which VasoMedical attended. 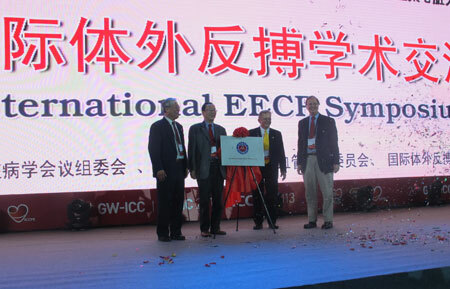 The 3rd International EECP® Symposium was organized by a group of cardiovascular experts including Dr. Hu Dayi, President of the Great Wall International Congress of Cardiology, Dr. C. Richard Conti, President Emeritus of the American College of Cardiology, Dr. William E. Lawson, Dr. GuiFu Wu and Dr. John CK Hui, an internationally recognized EECP® expert. Dr. William E. Lawson, Professor of Medicine and Chief of the Division of Cardiology at Stony Brook University, New York, USA was selected as the Society's first president. Dr. Guifu Wu, President and Director of the Fourth People's Hospital of Shenzhen, China was elected as Vice President of the Society. Many leading international experts in cardiology as well as in EECP® therapy participated in the Society's preparation meeting during the Symposium and joined the Society, signaling great support for EECP® therapy. “EECP® Therapy has been around for nearly two decades. However, until now there wasn't a professional organization to bring together all of the experts and advocates of this treatment to help further awareness and adoption of the Therapy. The formation of the IEECPS is the result of the EECP® Therapy community finally coming together to review the science and initiate a program promoting an increased level of global understanding and acceptance of this treatment among healthcare providers,” said CEO of VasoMedical, Dr. Jun Ma. 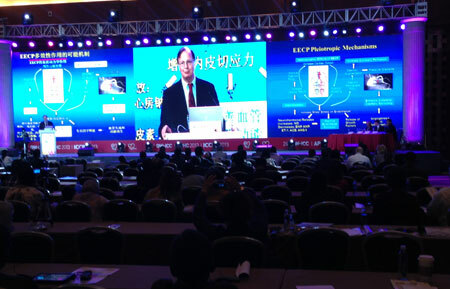 The IEECPS will take a proactive role in educating doctors, cardiologists and other members of the healthcare community about the benefits of EECP® Therapy by disseminating newsletters as well as by organizing and hosting conferences and symposiums worldwide. Also, the IEECPS will focus its outreach efforts on promoting patient awareness in order to increase acceptance of the Therapy.